Two market leaders in biomedical device testing have formed a new alliance to extend the range of products and services available to UK and Ireland customers. The move follows Rigel Medical reaching an exclusive agreement with imtmedical ag for the distribution of their respiratory test equipment in the UK and Ireland. This will see Rigel providing sales, technical and after sales support for the Switzerland-based company’s respiratory test equipment range, which includes ventilator testers including the latest hand-held Citrex and test lung devices. imtmedical`s biomedical testing devices meet the requirements for the field measurement and calibration of ventilators and anaesthesia devices and are distinguished from other calibration tools by combining a simple, intuitive user interface with precise sensor technology. Rigel already offers a range of analysers and simulators for UK and international markets so the inclusion of imtmedical`s testers will enable it offer a comprehensive suite of industry-leading biomedical testing devices for hospital and healthcare facilities customers. John Backes, Rigel Medical’s associate director, said imtmedical’s products will benefit from Rigel’s strong market identity and reputation, adding: “There are a lot of synergies between both companies, so being able to include their products as an integral part of our offering makes sense”. 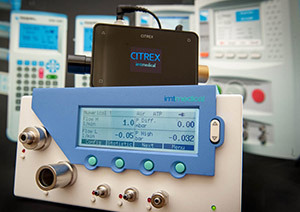 imtmedical’s range features the compact Citrex, a mobile instrument used primarily in the verification and calibration of hospital and homecare ventilators. The Flow Analyser instruments can be used to measure pressure, flow and volume with analysis undertaken using FlowLab software. The company’s test lung models cover a variety of purposes including the quick and easy calibration of ventilators and anaesthetic equipment. Visit the Gas Flow Analysers product category for more information.